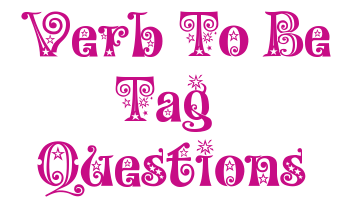 A tag question is a question added at the end of a sentence. A tag question following an affirmative statement generally has the form of a negative question, with the meaning: Isn't that true? In some languages, such tag questions are invariable. However, in English, tag questions vary, depending on the verbs and subjects of the preceding statements. Are you not awake? Aren't you awake? I am awake. I am awake, am I not? You are awake. You are awake, aren't you? She is awake. She is awake, isn't she? We are awake. We are awake, aren't we? They are awake. They are awake, aren't they? These examples illustrate how the subjects and verbs of the preceding statements are repeated in tag questions. For instance, in the first example, the subject I and the verb am are repeated in the tag question. In the second example, the subject you and the verb are are repeated in the tag question. In spoken English, the expression aren't I? is often used as a tag question. However, this is not considered to be grammatically correct in formal, written English.